Copies of this letter are being distributed widely in several Catholic countries. 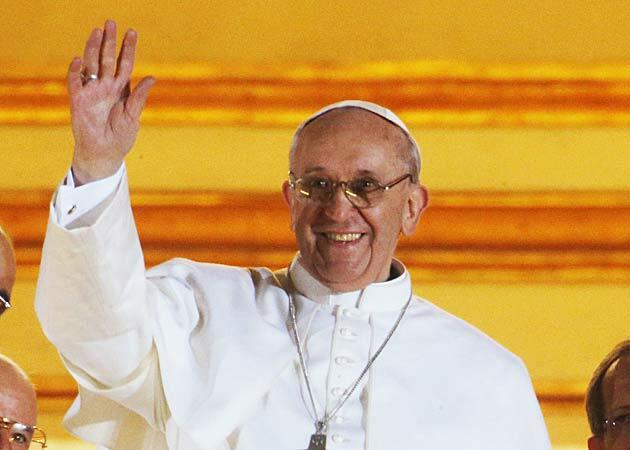 The appointment of a Pope named Francis gives many of us hope. Since Francis was the patron saint of animals, we pray you share his love. All around the World millions of people are wondering why there is so much evil when human beings are so capable of love and joy. It’s a little too easy for us to just blame it on the Devil. Although human greed and lust for power are contributing factors, many of the wisest and most spiritual people throughout history, including (many believe) Jesus Christ, have believed that there is a greater, more insidious evil that has infected most of the people on Earth. It is very likely that you, too, know exactly what this evil is. This evil continues to exist because of tradition and conditioning but mainly because the powers who control money and manipulate human behavior through advertising, don’t want it to change, even if it is at the root of most human misery. Historical studies have revealed to many of us, that all the major religions, including Christianity, had a similar, fundamental belief to start with. This belief has somehow got lost in translation or conveniently forgotten about. As I’m sure you’re aware, when Rome took over Christianity in the Fourth Century, Emperor Constantine changed or deleted many of the original scriptures. The one teaching that was part of the original Christian, Buddhist and Islamic belief was simply: ‘Do No Harm’. Unfortunately, it has been misunderstood to mean ‘do no harm to other people’ when, as you are very well aware, it means ‘do no harm to any living thing’. Jesus Christ, Buddha and Mohammed all taught people to never harm another living being and never take life because only God has that right. So why, Your Holiness, does The Catholic Faith allow animals to suffer terrible cruelty? Why do people continue to eat evil in the form of the flesh of tortured animals, when our savior and the leaders of the other great religions all condemned it? Why are greedy corporations allowed to continually brainwash weak-minded people to buy and consume products that clearly cause cancer, heart and liver disease, violence and war? And “As long as there are slaughterhouses, there will be battlefields” ~Leo Tolstoy. It is believed by many that a Great Spiritual Event, which will change human behavior for the better, is going to occur soon. Could it be that you will be part of that Event? Are you soon to announce to the whole Catholic realm, and to The World, that everyone should start to do what Jesus Christ originally wanted us to do? To stop eating Death and to DO NO HARM.